If you are looking for a Porto event photographer, here’s why I can help you. Originally from England but now residing in Amsterdam, Benjamin has a truly global mindset. He has lived outside the UK for 20 of the past 22 years; mainly in continental Europe. 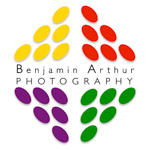 With a background in international advertising, Benjamin truly gets the marketing drivers behind your photographic needs – whether your event is a large trade show or a black tie dinner for awards recipients or key customers. I would be absolutely thrilled to join you as your next Porto event photographer. Just fill out the contact form here or get in touch via email or telephone (details below). I’ll be happy to see what we can do together. I aim to respond promptly, with a quote that is in line with your budget expectations.